I was sitting down by our swimming pool the other day having coffee listening to Alphonso and Marco hammer the crap out of our kitchen walls to enlarge it and I started to think about how we got here…. A couple of years ago Heather and I were enjoying life in Sherwood Park, Alberta. We had good jobs, great employers, my kids were growing up, excellent friends, the house was close to being paid off and we had just finished renovating our kitchen. However, something was missing. We had a sense of adventure that owning a 30-year-old motor home was not fully satisfying. We needed something else…..it was a that point we decided that it was time to start a new chapter in our lives. We sold the house, packed up our Toyota Rav 4 with what ever we could fit in it and moved to Puerto Vallarta, Mexico to open a Bed and Breakfast. This is the story of that journey and how we got to where we are now. When we decided to do this we already owned a small condo in Vallarta that we could live in while we searched for a property with which we could open this grand project. However we never thought how about how long we would have to live there! In October 2008, the car was loaded and we headed out on the Yellowhead highway towards the west coast. We had decided we were going to take our time and have a small vacation on the way. Our plan was to drive down to San Diego on the coastal highways and then head inland to Tucson and down into Mexico from there. We crossed the Canadian/United States border south of Vancouver in a driving rainstorm. At the border the US customs agent asked us the reason for our trip, it was obvious he could see that we had the Rav packed to the rafters. We explained we were moving to Mexico. The response was “oh, and why would you want to do that?” After our explanation we were off and driving. Our stopping point for the weekend was Seattle. 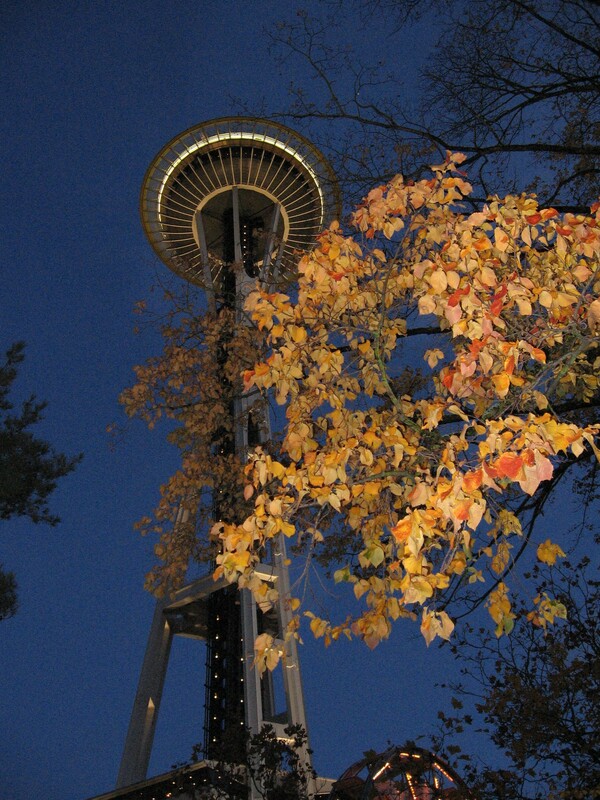 We both wanted to actually see Seattle and some of the things we had seen or heard about. 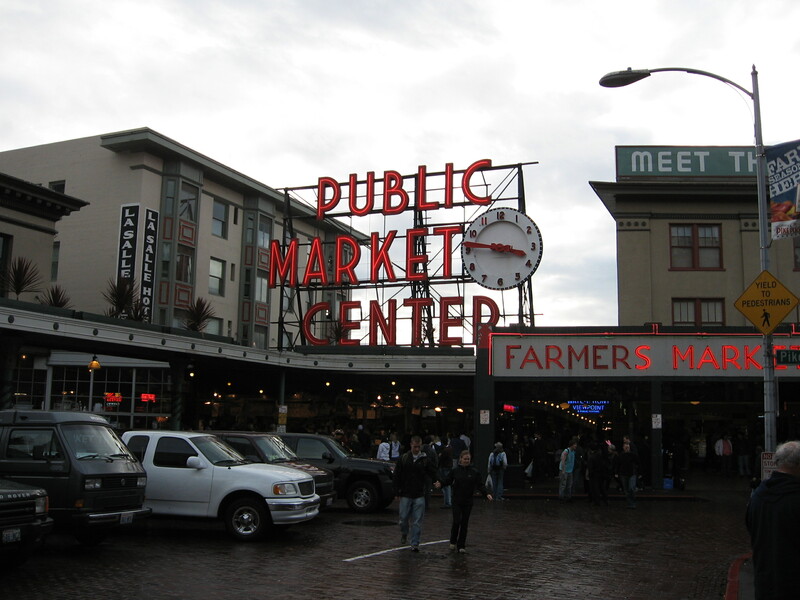 The Pike Place Market, the Space Needle and things we had yet to encounter. If you ever have the desire to go to Seattle and even if you don’t, you must go. A truly beautiful city and just seeing the fish mongers at the Pike Place Fish Market toss the fish around is a treat. I could go on about it but really you need to experience it yourself! 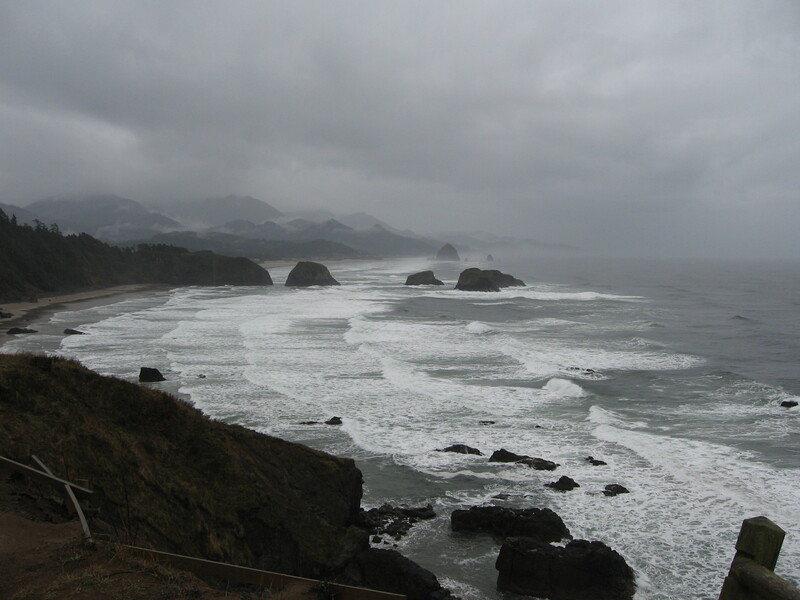 After a great weekend in Seattle we moved on towards the coast down past Olympia heading towards Seaside, Oregon. 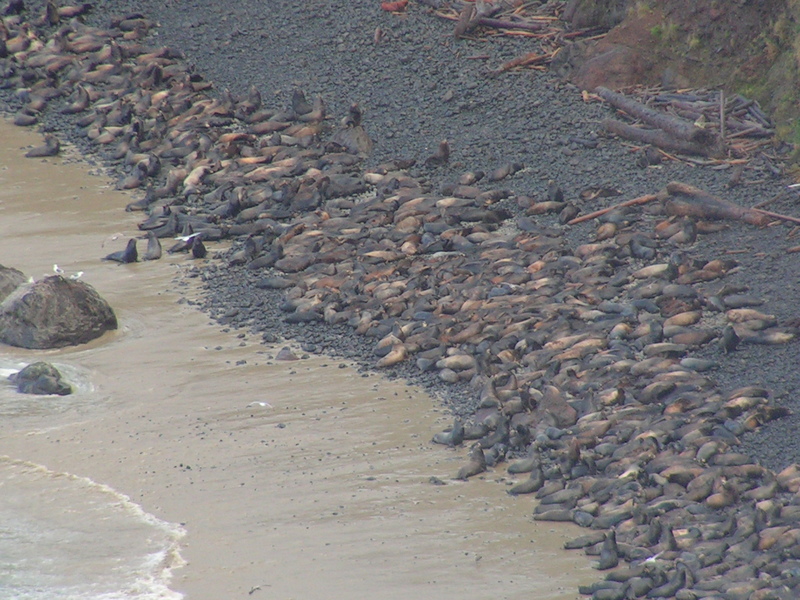 On the way we stopped at Cape Disappointment State Park which is on mouth of the Columbia River. An interpretive center is located there on the difficulty ship captains had with the currents at the mouth of the river and the shifting sandbars which caused many a grounding and wrecks on the beach. It was an interesting stop, one I would recommend. 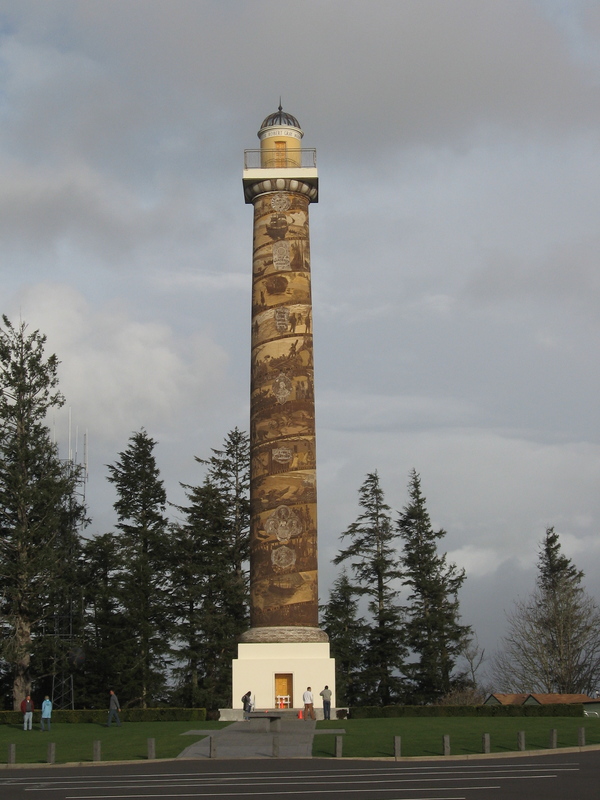 From there is was across the massive bridge over the river to Astoria, Oregon where we visited the Astoria Column. The column is unique and quite the site. The view from its location is spectacular! We ended this day in Seaside about 40 miles down the road from Astoria. The next day we were the Oregon Coastal Highway. The scenery is absolutely spectacular! If you have not driven this road, it is a must do. 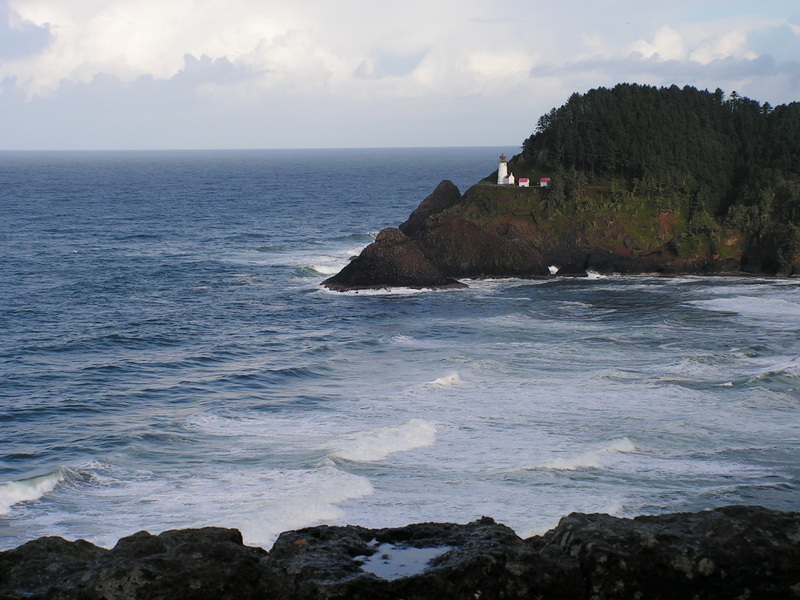 The ocean is wild in this area with large waves and many scenic points to watch them crash on the rocks below. 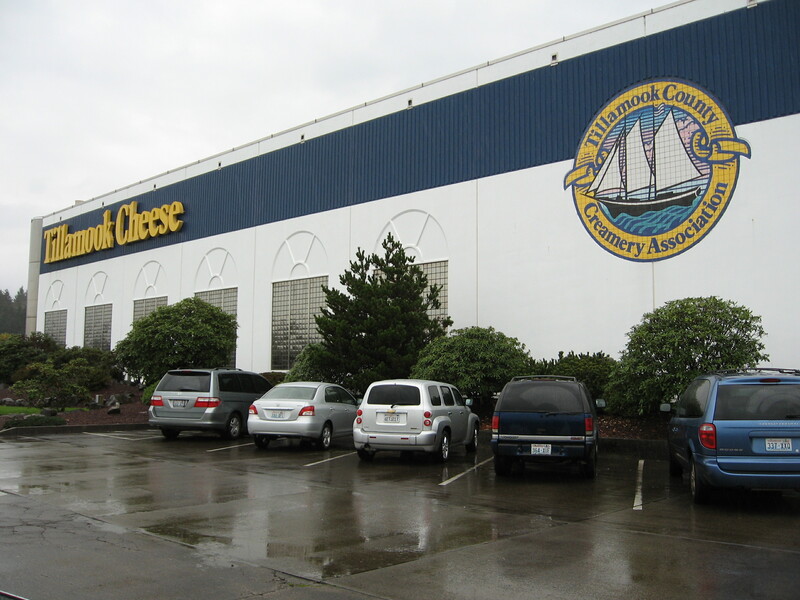 It was this day we stopped at the Tillamook Cheese Factory in Tillamook, Oregon. It was a great place that had a self guided tour of their factory. They also make great cheese and we are very happy we can buy it in Vallarta! As you may have figured out we were not moving at the speed of light. We figured we were only going to do this drive once and we wanted to do it right so there were lots of stops for pictures of scenery or stops at places of interest. 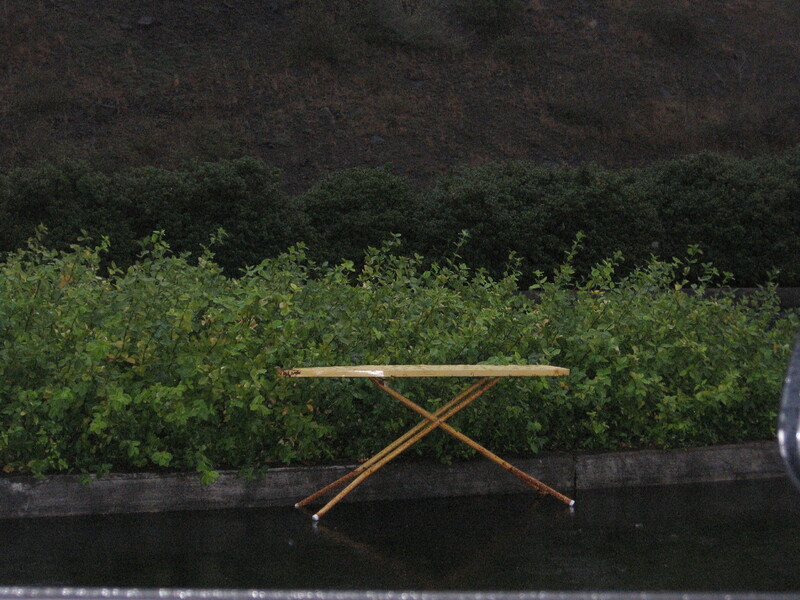 Sometimes we found interesting pictures for no reason at all. this was in a parking lot???? We have no idea what this was all about! 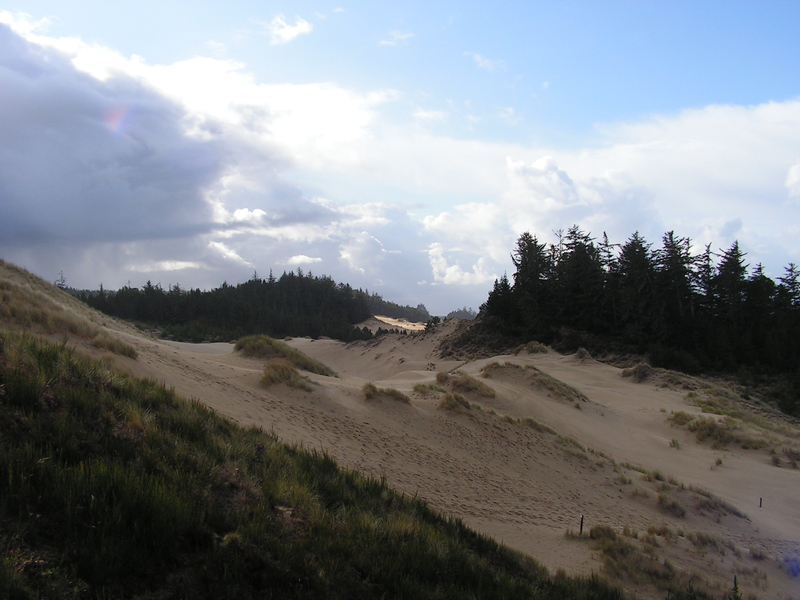 The scenery on the Oregon coast is phenomenal. Pictures will say it better than words. From Oregon it was on to California and the Redwoods! That will be our next installment.